When the FEI wrote out a photo competition, I knew right away which photo I would enter! And out of a couple of thousand pictures from photographers all over the world, this photo won the rider portrait category. 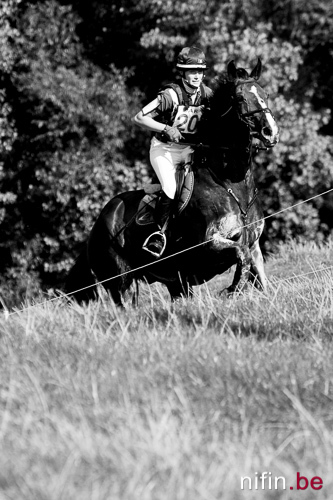 I made my first eventing shots ever back in September 2008. At that time I made mostly motocross pictures, because I was still a motocross rider back then. But in Waregem (where I’m from) there is a really strong eventing vibe, with multiple competitions (both national and international) per year. So I ended up checking out one of the competitions at the castle grounds in Hemsrode, Anzegem (next to Waregem). And that’s where I first saw the super talended Lara de Liedekerke, and that’s also where I fell in love with the sport! I don’t ride horses myself. In fact, I’m maybe a little bit scared of horses. But this makes my admiration for the sport and the riders even bigger. It all looks somewhat magical to me. I do know what it’s like to ride in a competition. So I know what hard work needs to be done to achieve goals and dreams. And this is where Lara really shines! She puts in all the necessary hard work, but always with a lot of respect for both the horses and all the people around her. For instance: she always greets and thanks me when she sees me while riding her course! And the results are there to show for it too: only being 26 right now, riding for team Belgium, she already took part at the World equestrian games in Kentucky USA (2010) and Normandy France (2014). 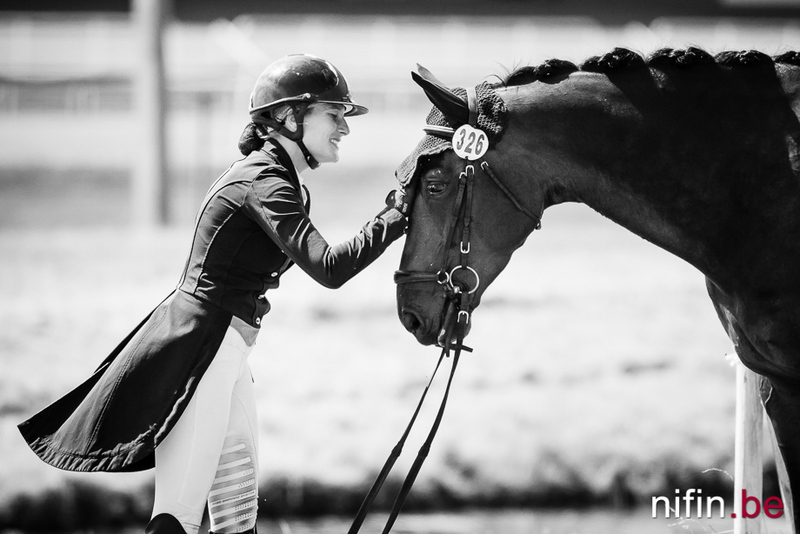 And at one point she was ranked 12th on the FEI World Eventing Athlete Rankings! The photo itself then: I still remember making it like it was yesterday… I had just bought a used Canon 300mm F4L IS lens, so I decided to test it during the dressage at l’Equino Waregem (national eventing competition). After making some action shots, I saw it was all good and started walking towards the exit of the arena… But then, something just made me turn around and have one more look at things. And that’s when I saw her, all exited and happy with a good result. The only thing I had to do was eternalize the moment. Being that far away, Lara never even noticed… Talk about being in the right place at the right time! I had no zoom to play with (300mm fixed!) and the moment only lasted a second. Jeffrey Fierens, photographer. Specialized in weddings and equine events. Open to so much more!